With a family of 6, our kitchen sink is always full and our dishwasher is always going. While I was pregnant and now having a baby, I have found disposable plates make life so much easier. 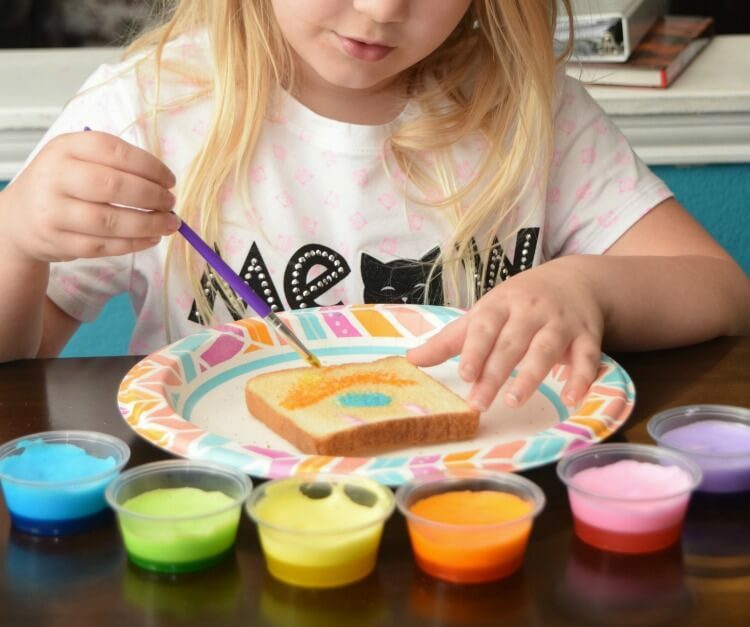 They are so versatile and you can do so much with them, from easy clean up from meals to avoiding messes with crafts like making rainbow toast with marshmallow edible paint! My favorites are always Dixie products. Not only do they have cute designs, but they are affordable. 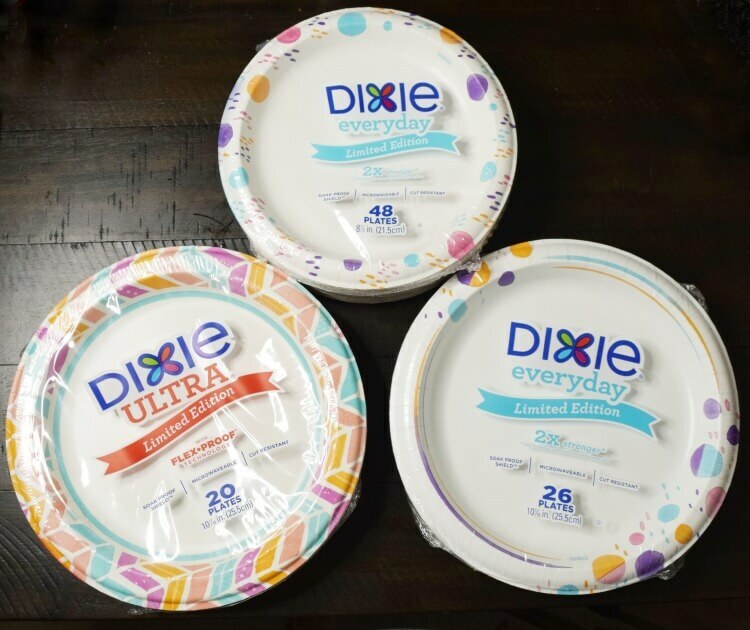 There’s nothing that annoys me more than a disposable plate that can’t do the job, and Dixie is microwavable, cut-resistant, and has a Soak Proof Shield™. I know they can handle just about anything from salad dressing to burger grease! Now through the end of July, Dollar General has these super cute Dixie spring and summer designs and you can find them in the summer picnic area. 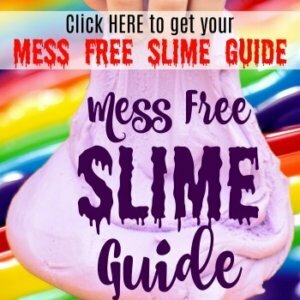 My 8 yr old is my little crafter, just like me, and when she wants to do something like painting, I always trust Dixie to keep the mess to a minimum. 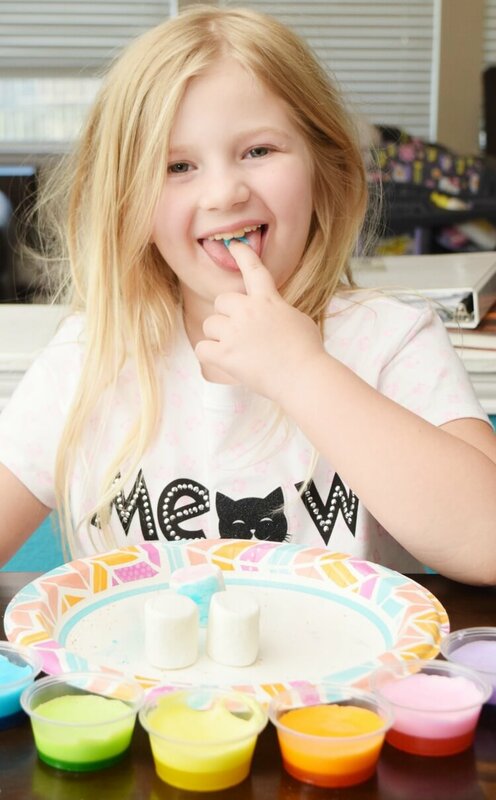 Recently, we made marshmallow paints so we could make Rainbow Toast with edible paint! It was great fun to paint so many things from marshmallows, sugar cookies, and even the plates themselves! The best part? This paint is completely edible, which means you can dip your finger in and sneak a bite or two. If you can make rice crispy treats, then you make this paint. In a large microwavable bowl add the marshmallows. Heat in the microwave for 30-40 seconds. Add the light corn syrup and stir until combined. I find a whisk works much better than a spoon. Heat for an additional 15 seconds if the marshmallows are not completely melted and smooth and stir again. Separate the marshmallow mixture into six small bowls and add a large dollop of food coloring gel to each one. Paint toast, marshmallows, cookies, and more! Toast the bread lightly so that it’s hard, but not too dark so the toast will hold up to paint and the paint will be brightly colored. Use Dixie plates for painting your toast or other treats to keep messes to a minimum. Use popsicle sticks or food grade paintbrushes (in the cake decorating aisle) or even your fingers and let the kids paint away! Once the kids have painted their toast, they can eat it immediately. You can totally make these paints ahead of time 24 hours or so. Just keep them sealed so they don’t dry out. We found the marshmallows make the paints turn thicker by about day 3, and then they make great finger paint slime. 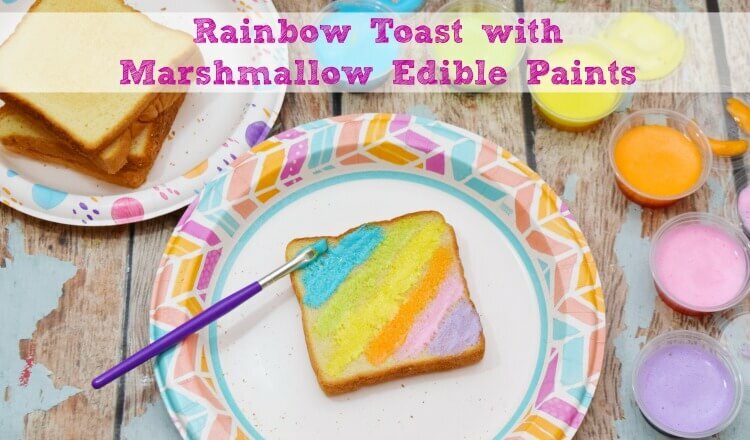 Next time your kids want to make a fun craft, try these edible paints and make your own Rainbow Toast with Dixie disposable plates! What fun! My grandkids would love a taste of that edible paint. The rainbow toast is so cute and your daughter is too. She did a great job and I love that cleanup is easy with my favorite Dixie disposable plates. The kiddos would love this. I’m sure it taste so yummy too! Dixie products is a favorite in our home. My kids would absolutely love this! My daughter especially, since she enjoys painting. She’ll be amused that she can paint and then eat her creation. This is such a cute idea! I bet my kids would love this colorful surprise! Ok now this is such a fun idea! Definitely, make toast a colour time with all those colours. This is seriously a great idea! It is something fun the kids can do it is easy and you get to eat it! You cannot get a better craft project than that. Dixie always makes the best disposable dishes and cups. 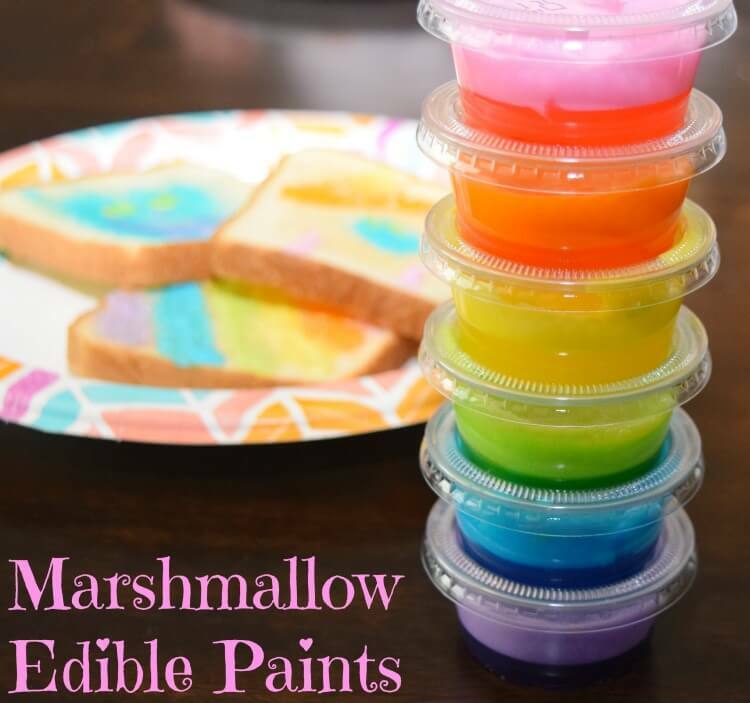 I have got to make this edible paint with my nieces and nephews who love to craft and paint and eat marshmallows. Such a fun craft! I definitely plan on doing this with my daughters. This is too cute. Dixie plates are perfect for crafting. We use them for fingerpainting and beading projects with the kids in our church nursery. My kid loves toast and would get such a kick out of coloring on it. Such a cute idea. This is such a fun idea. 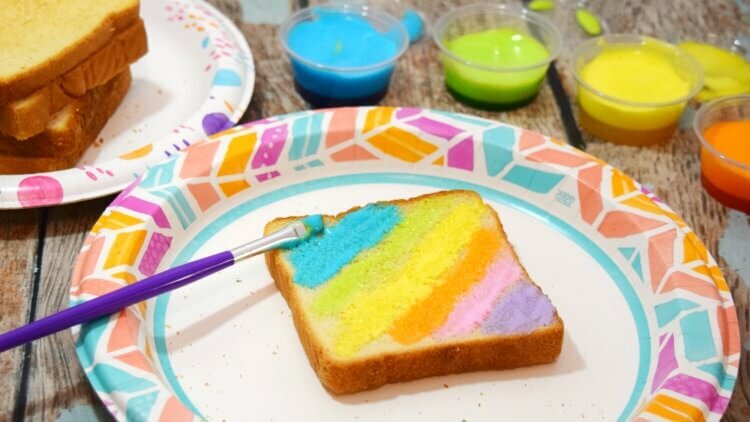 I know my girls would love to try this edible paint on their toast. They would want to make fun designs too! My mind is racing to a dozen different ways to use this edible paint. This is such a cool idea, and who doesn’t love fun and colorful stuff when you’re a kid? I’ll have to get the grandkids together to make this. My son LOVESSSS marshmallows. We have to buy them every time we got to Walmart. This looks like so much fun, he is going to have a blast when we do this tomorrow. Thanks for sharing! My kids would have love that when they were little. What fun this is! So creative and so fun to do. That’s such a fun idea for the kids! I just love how easy it is to set up for them and I’m pretty sure they’re going to have fun painting and then eating their masterpiece! This is such a fun idea! I know that my kids used to love when I got creative with their food. This looks really fun. I love all the pretty colors. Dixie plates always come in handy.